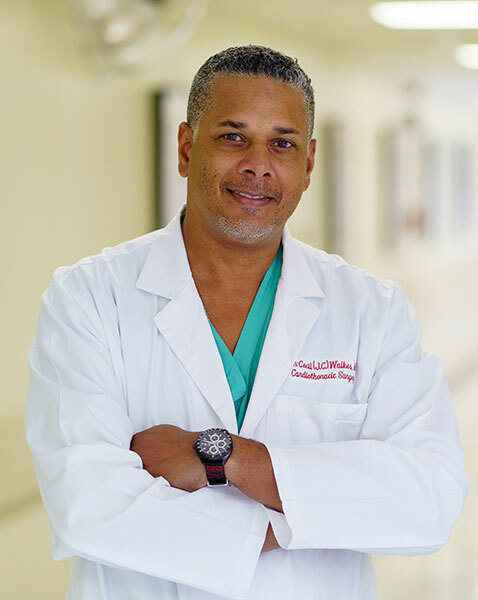 Titled “Vascular Health and Varicose Veins,” the luncheon presentation features keynote speaker Jon-Cecil Walkes, M.D., a cardiothoracic surgeon and medical director of cardiovascular surgery at St. Joseph Medical Center. He will provide an overview of how to maintain a healthy vascular system and its association with varicose veins. Tickets for the luncheon cost $10 and proceeds benefit the American Heart Association’s Go Red for Women® campaign. Attendees are encouraged to wear red in support of the campaign. The event takes place in the George W. Strake Building, 9th floor auditorium, at 1919 LaBranch Street. Complimentary valet parking is available at 1402 St. Joseph Parkway or attendees can self-park in the garage located at 1310 St. Joseph Parkway. The health fair and partner expo begins at 11 a.m. with the lunch and program at noon. Register at heartluncheon2019.eventbrite.com or call 713-757-7575. WOW is a health and social program to empower women as healthcare consumers by providing educational information and hosting fun, inspiring events that celebrate women’s role in their own wellness.